Switch to Solar Power and Save! Solar Power NZ are passionate about providing quality and affordable Solar Power solutions for Kiwi homes and businesses. Specialising in both residential and commercial solar power systems, we are based in Christchurch but operate New Zealand wide. We strive to maintain the highest quality of work backed by our quality workmanship warranty. Every Kiwi’s home energy needs are different. We understand that. Solar Power NZ can custom design a system to meet your energy needs. Below is a few of our ready to go system packages to give you an idea of price and size. We have teamed up with TMF Finance to offer you a great no deposit, low interest rate finance option to pay for your solar power system. 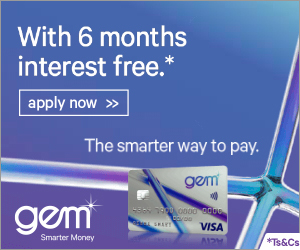 We also accept GEM Visa. Sign up to our newsletter for the latest news and deals.